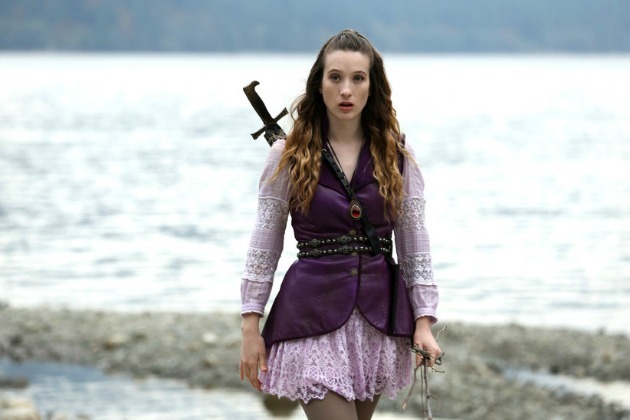 I finally caught up on “Once Upon a Time Wonderland”, a spin-off series of “Once Upon a Time”. As always, the creative team does an amazing job on the makeup and costumes, especially The Red Queen’s, all glowy skin, highlighted cheeks and pouty lips. They do a damn good job with Alice too. 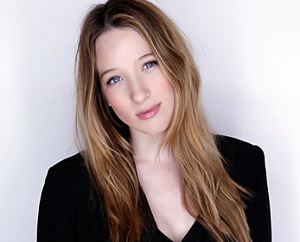 Of course, Sophie Lowe, the actress playing Alice is also absolutely beautiful. 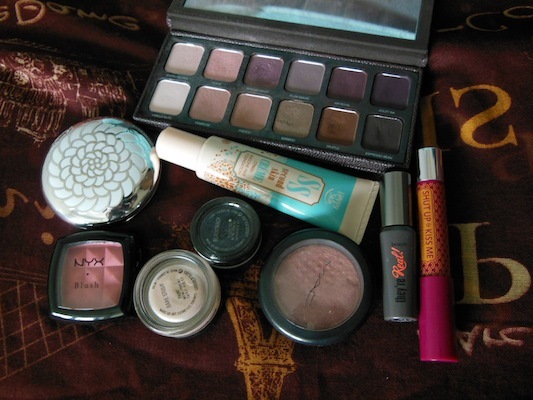 They tend to put her with very clean eyes, and once in a while she’ll don a dark purple lip. 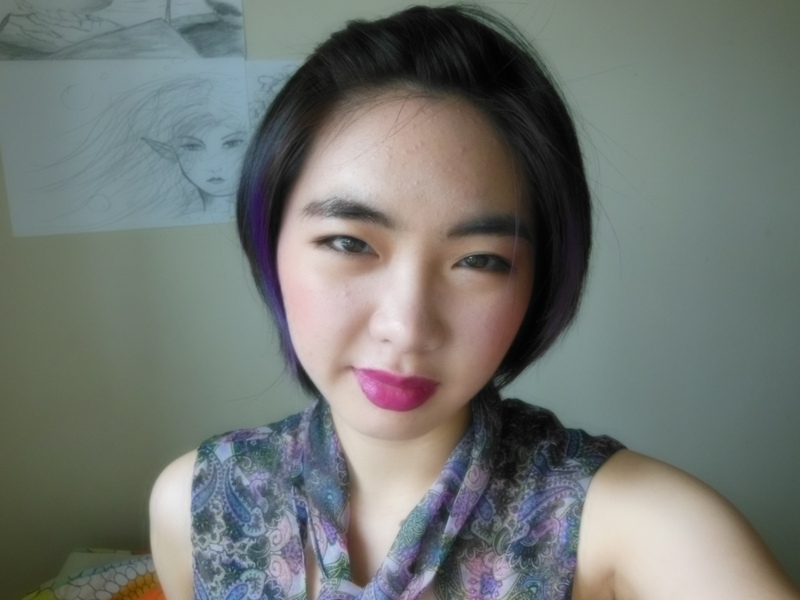 I can’t seem to find any photos for that look, but it’s what I decided to try on for today. In other news my acne is still there, but is looking less inflamed and is slowly, slowly healing. 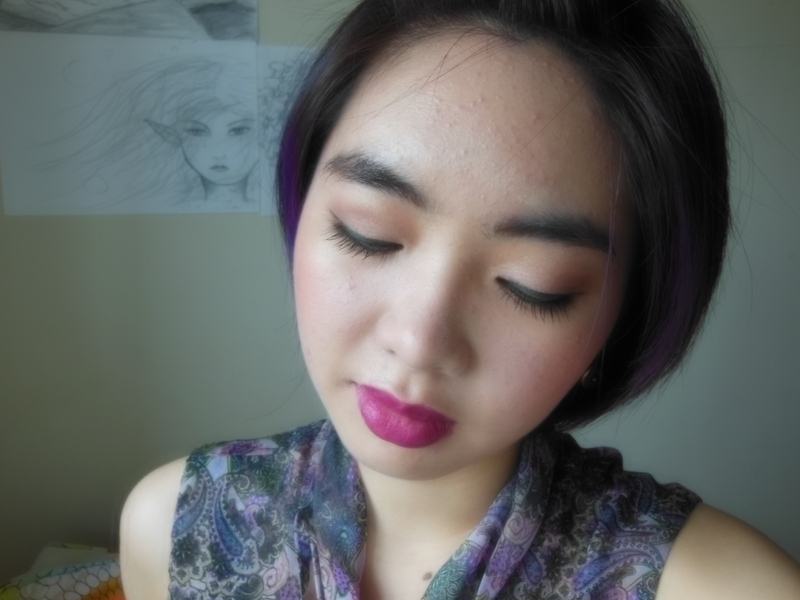 1) I used MAC Bare Study (frosty beige pink) on the lid as an all over colour. 8) I then filled in my brows with NYX brow pencils, using both a brown and black one, then coated Vaseline on a spoolie and combed that through to set my brows in shape. 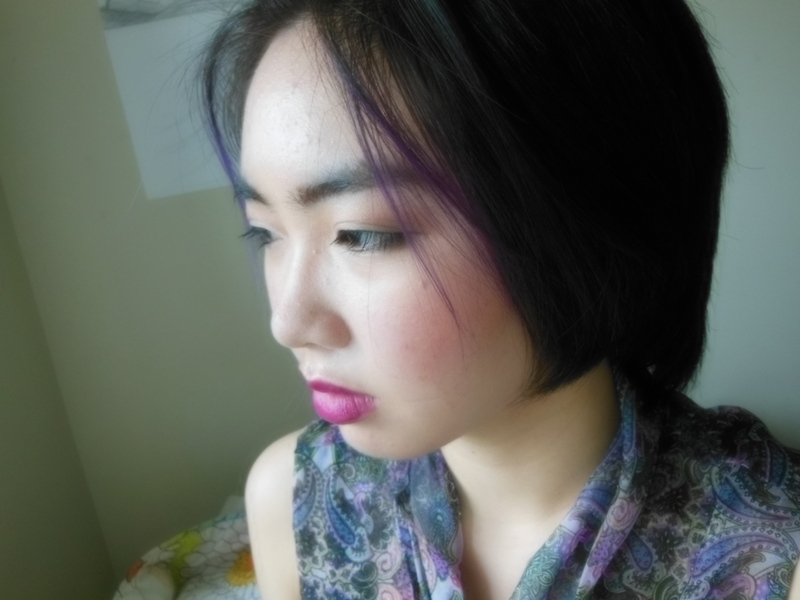 1) I used Happy Skin Shut Up and Kiss Me Lippie in Girl’s Night Out, the deep blue-based purple you see in the photos. It’s definitely not a plum, closer to a berry colour but not quite either. I love how my cheeks turned out! This entry was posted in Looks and tagged Beauty, benefit they're real mascara, Cosmetics, happy skin girl's night out lippie, happy skin second skin creme foundation, laura mercier artist's palette for eyes, mac bare study, mac blacktrack, MAC warm soul, makeup, nyx apricot. Bookmark the permalink.